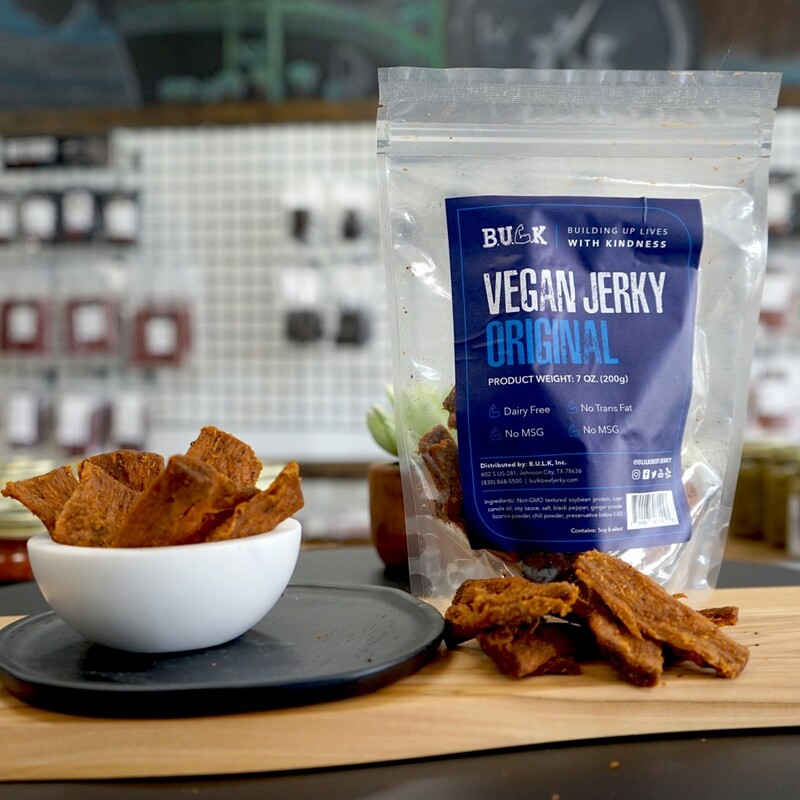 Plant based vegan jerky – B.U.L.K Beef Jerky - The Best Jerky in the USA. We have been getting a lot of requests to add this to our shop. 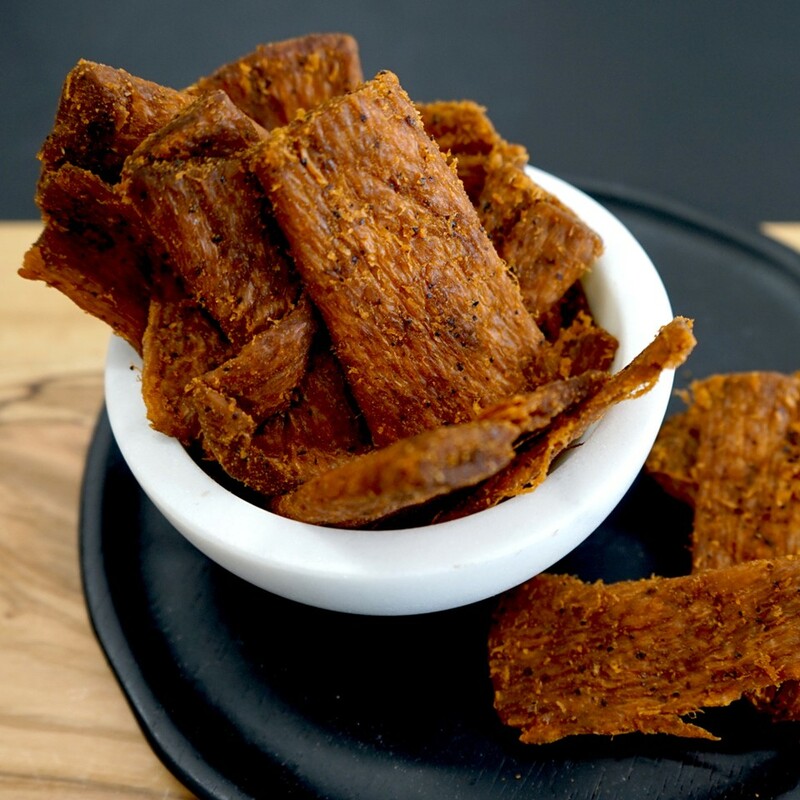 Our vegan jerky is the best vegan jerky we've tried. (Trust us.. we tried a ton of vegan jerky) Soybean based Vegan Jerky with a savory and slightly sweet taste for everyone (even carnivores) to enjoy. It's made out of soybean protein blended with a variety of authentic vegan Asian spices with a tender chew. 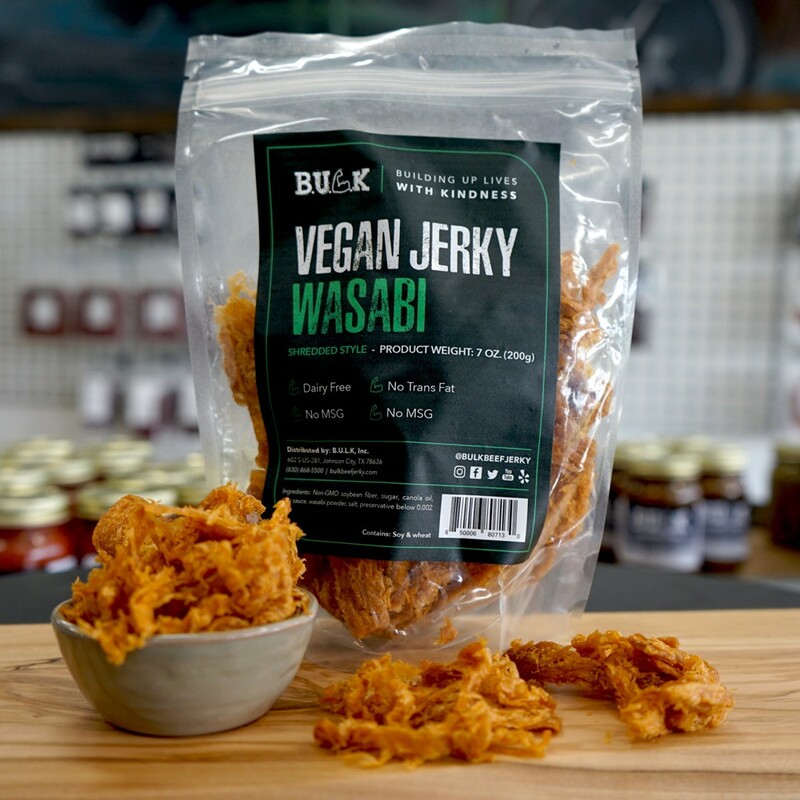 This will definitely be your favorite vegan jerky. It has a mild heat to it and is packed with a great wasabi taste. 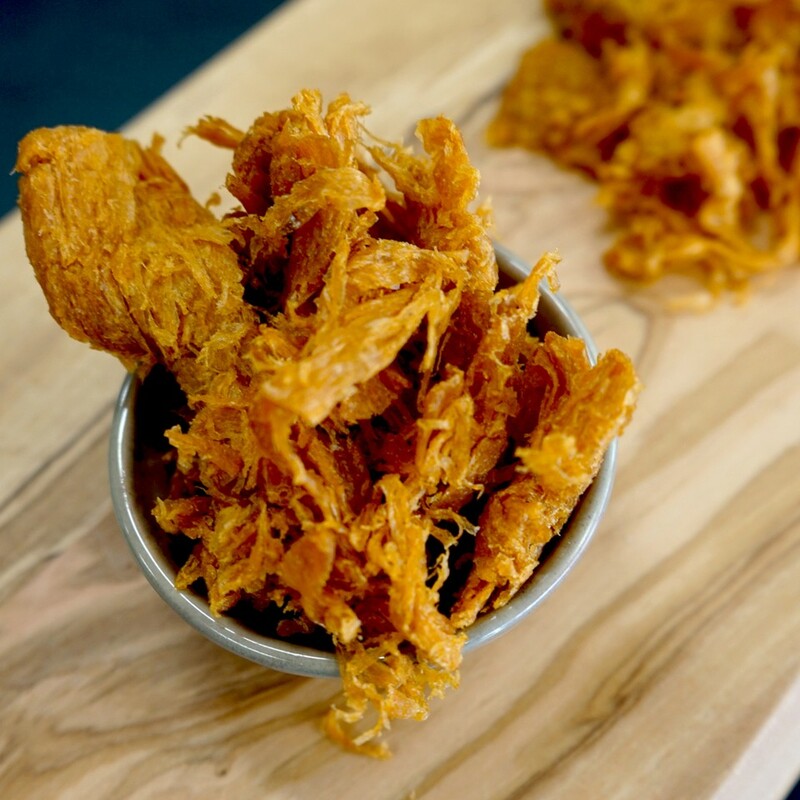 It is extremely soft making it incredibly easy to snack on and enjoy! Ingredients: Non-GMO soybean fiber, sugar, canola oil, soy sauce, salt, wasabi powder. Contains: Soy & Wheat. Hurry, only 70 bags available!